No, I’m not talking about the Glenn Frey song. 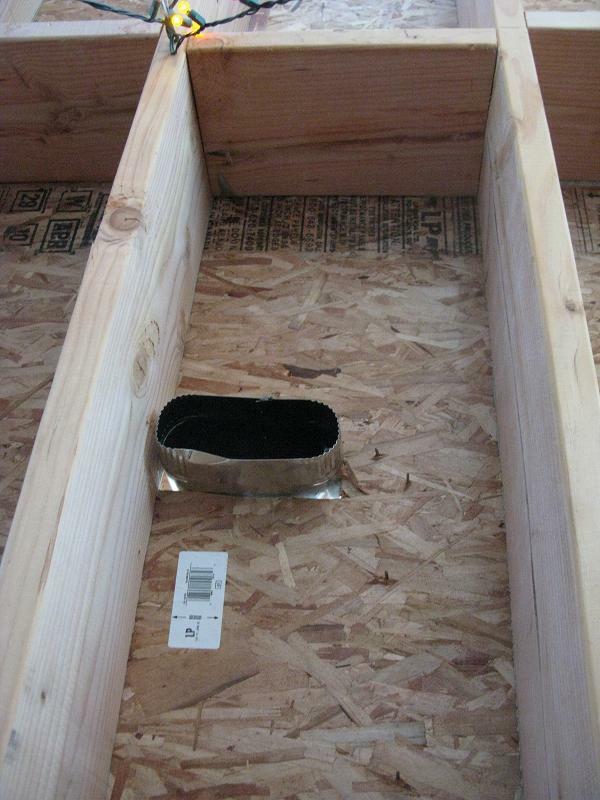 Our HVAC contractor finished work yesterday installing a duct run and register drops to our new addition. Not only that, but due to the funky nature of how the addition was best accessed, the run to the new addition also incorporates a significantly larger duct, a new route upstairs and new register drops for the existing upstairs bedrooms. Of course, it wasn’t hard to improve on what we had. Our house has seen almost every modern heat source conceived by man in the past 117 years – sawdust/wood, coal, oil and now gas. These have been burnt and delivered by woodstove, radiator and now forced air. But never alcohol. Well, at least until sometime in the 1980s, which is when we estimate the upstairs of our tiny home had its first heat duct installed with the help of some Old Milwaukee. After leaving the furnace, this heat duct ran upstairs through a closet. Not so bad so far, but they took about three square feet of flooring out to accommodate the 6” duct – for good measure, I guess – then patched the hole in the fir flooring with a plywood board (not integrated nicely, mind you, just set on top of the hole). Satisfied with their destruction so far, they must have taken another swig, because after the duct rises up out of the closet, it then continues straight up and …get this…OUT THE ROOF. 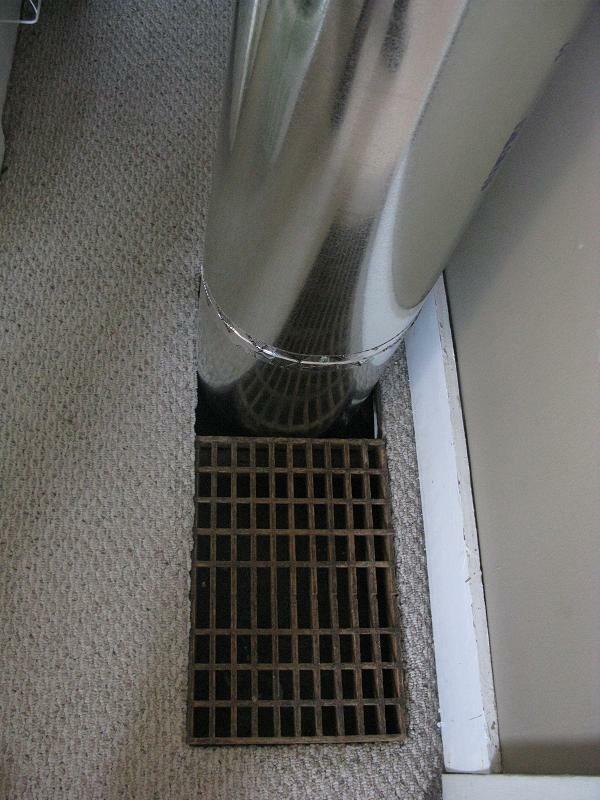 That’s right, the heat duct leaves the house. Common sense might tell you that a heat should be kept inside your home, but these guys weren’t so common. Or maybe they were. Once outside, they must have realized their error and taken crazy Eddie off of duct job, because then the duct makes a hard 90 degree turn and goes back into the house, into the second story attic. This whole outside exposure gets covered by a funny looking metal box which juts out of the roof, and which has an occasional leak problem until the roof was redone by us a few years ago. 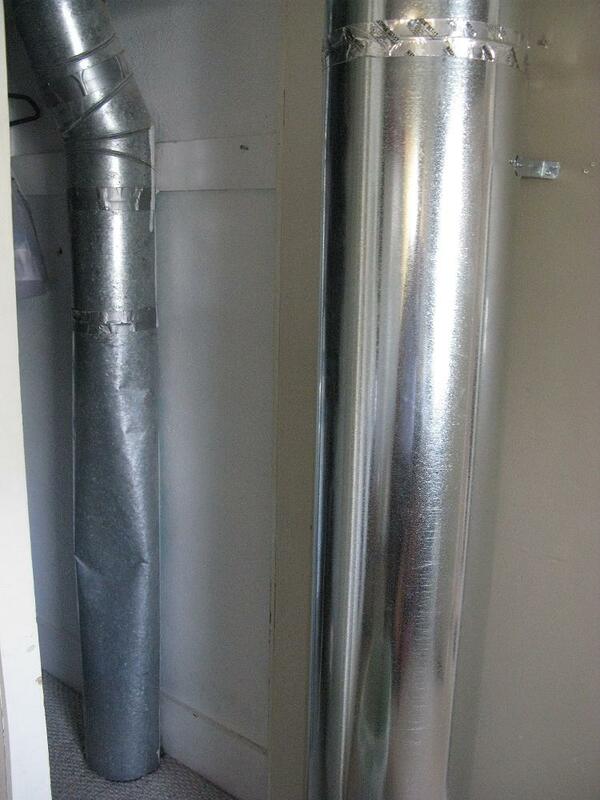 Once inside, the duct run is fairly average, and vents at in both bedrooms. making use of an existing oversized cold air return to breach the first floor (we’ll build an enclosure around this…soon). Once upstairs, it goes across the roof of the attic, through a closet, and pos up into another attic space, this for the second floor. Here it splits and runs heat to both existing bedrooms (through new ceiling ducts) and then continues into the new addition dropping heat runs in both the upstairs bedroom and bath, then extending one last duct down to the first floor addition to heat the bedroom and bath down there. And how does it work? Well, it’s warm…we think. The system isn’t pressurized correctly now, as the addition doesn’t have registers to help provide some resistance. Also, there’s no insulation and several open ridge vents. So right now, if the heat is running and you hold your hand up to the very last register drop, it feels warm, sort of like the radiated heat you get by standing in a sunny window. So does that make it “radiant forced air” heat? Something new! While we continue outside on the siding, we are moving ahead with the next step inside, and considering some bids for plumbing contractors. More on this soon! « Day 292 – Siding, window and rainscreens – oh my!